For a minimalistic bathroom mirror, consider the elegant Bevelled Edge Mirror range. This simple bathroom mirror is designed to blend well with any bathroom design, allowing other elements to become a focal point. Durable and stylish, the Bevelled Edge Mirror range is certainly a popular choice here at Ross’ Discount Home Centre. They are manufactured using top grade glass and treated with CAT waterproofing techniques for a durable finish. Thanks to this special manufacturing, these mirrors are built to last many years of use and will withstand the rigours of the bathroom, including heavy steam. 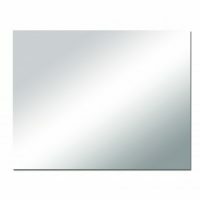 The Bevelled Edge Mirrors are available in three size options, small, medium and large. These include 600x750mm, 900x750mm and 1200x750mm dimensions. Whatever size you require, these mirrors will meet your requirements. 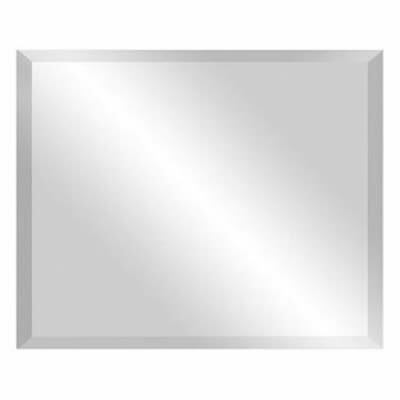 The Bevelled Edge Mirror range is one of Ross’s Discount Home Centre top selling bathroom product in Perth. They meet all Australian standards of safety and quality and are backed with a 14-day money back guarantee. So, what are you waiting for? For quality bathroom mirrors in Perth, trust none other than Ross’s Discount Home Centre. Buy a Bevelled Edge Mirror for your bathroom today and take advantage of free delivery across Perth Metro areas.